Meridian Lodge No. 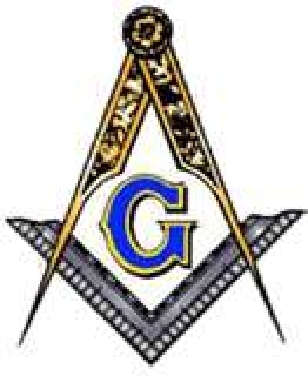 610, F. & A. M.
Welcome to Meridian Lodge #610 Web Page. We are Cuyahoga Country's "DAYLIGHT" Lodge. We were given our Charter on October 23rd 1911. We will celebrate our 100 years in 2011 under RW Brother Bradford A. Goebel. Our first Worshipful Master Was James B. Ruhl, who later became a Grand Master, and had a Lodge named after him. We first met at the Masonic Temple located a the corner of Superior and East 6th Street (Now the Federal Reserve Bank). In 1920 we moved to the Scottish Rite Temple at 3615 Euclid. We stayed there until 1997 when we moved to the Parma Masonic Temple on Ridge. In 2007, the Parma Temple was sold and we were happy to find a home here in Berea. The purpose of the first part of our history was for the pit orchestra members. They would meet after playing for the vaudeville shows. The next influx of members was from the Railroad workers who did not work normal hours. In the later years we had many members who worked as printers and reports for the morning paper which was printed at night. We have had meetings anywhere from 6:30 A.M. to 1:30 P.M. during our history. Today our membership is made up of Brethren who work either second or third shift in the automobile industry or are retired and do not wish to travel at night. A large part of our members are plural members and many of them are Past Masters. We are very proud of our small but very active lodge. We do courtesy degree work for lodges who have candidates who may have their schedules changed. We meet on the second and fourth Tuesdays at 10:30 A.M. except for Christmas week and July & August. On our first meeting of the month we have breakfast at 9:30. Come and visit us for breakfast and stay for our meeting and lunch. Any question about our lodge, please contact our Secretary W.B. Jim Cochran at 216-351-5263, or lee1908jc@sbcglobal.net. ORGANIZED JUNE 27, 1911 SECOND AND FOURTH TUESDAY 10:30 A.M.